"Deal Kent – Things To Do For All The Family"
Deal has lots to offer visitors, as well as shopping, walking, cycling, golf and fishing there are several visitor attractions in Deal. You can walk or cycle the 1.3 miles along the seafront between these 2 castles. Both were built by Henry VIII but they have very different characters. 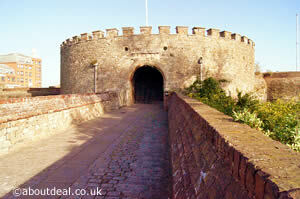 Deal Castle audio tours bring alive the history of this Tudor rose shaped castle. The gardens at Walmer castle, and furnished rooms ensure a memorable visit. More information on Deal & Walmer Castles. Deal has 2 top quality golf courses plus several other courses within a short drive. The Open Golf Championship will be coming to Royal St George’s in 2020. Deal offers not only sea angling from the beach and the pier but also course fishing lakes. There are plenty of places to cycle including the sea front cycle path and the routes around Fowlmead country park. Bike hire is available. Deal also has facilities for many other sports including swimming, tennis, badminton, basketball, volleyball and skateboarding. 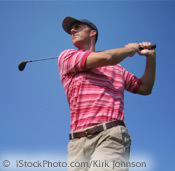 More information on Golf, Fishing, Cycling and other Sports. A nostalgic journey through the history of the cinema. 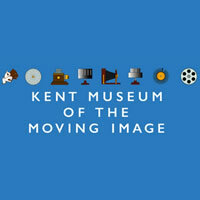 Kent MOMI is a lovingly curated collection of movie memorabilia with an ever changing content so you can visit time and again. Click here for more information. Disabled access, including lift and WC. Disabled parking can be reserved in advance. Open All Year, Friday – Sunday 12 – 6 pm. 41 Stanhope Road, Deal, Kent, CT14 6AD. Time Ball Tower Museum, Prince of Wales Terrace, Deal. The time ball tower was built in 1820 and was originally a Semaphore tower. It was used to pass messages along the East coast to help the Coastal Blockade in their fight against the smugglers. In 1853 the time ball was built on the top of the building. The ball was dropped once a day at 1pm by direct electrical signal from Greenwich. This enabled ships chronometers to be accurately set which was important for navigation. The book Longitude by Dava Sobel is a great read before visiting the timeball tower. Among other curios is an extremely rare Charles Shepherd electrical clock, one of only four known in existence. OPENING TIMES: Open weekends and Bank Holidays from 11:30 – 4:30 between Easter and end of May. Open Wednesday – Sunday and Bank Holidays during June – September. Click here for full details. Deal Maritime & Local History Museum. 22 St George’s Road, Deal. 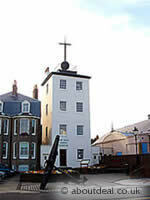 Deal Maritime Museum tells the full historical story of this seaside town. From the trade to the local people who lived here, the historical roles of the famous Cinque Ports, the areas Castle, lifeboats, Royal Marines, Smugglers and the Goodwin Sands. All brought to life with models, local photos and marine artifacts. Deal Memorial Bandstand, Walmer Green. 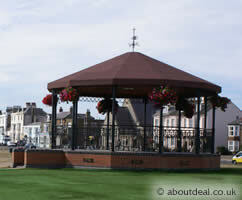 Standing on Walmer Green is the Deal Memorial Bandstand, erected in 1992 in remembrance of the bombing of Deals Royal Marines School of Music in 1989. Free music concerts May to September on Sundays at 2.30pm. More details.